A privately held company located in the Chicago area Universal Lenders LLC offers a nontraditional approach to premium financing. 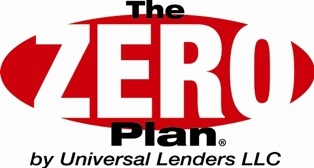 With a goal to increase dealership profits by increased use of premium financing, Universal Lenders LLC created the ZERO Plan® as a dealer friendly platform to offer payment in 7 days, aggressive collections to limit cancellations and an expanded list of eligible products other than service contracts for dealers to finance such as Tire & Wheel and other ancillary F&I products. Universal Lenders has been financing F&I products for over 20 years. For more information, contact Phil Rosenberg at prosenberg@universallenders.net. as Tire & Wheel and other ancillary F&I products. Universal Lenders has been financing F&I products for over 20 years in the Chicagoland area and recently has expanded nationwide.